TYSONS CORNER, Va., January 17, 2019 -- Cordia Partners is pleased to announce the promotion of Janette Burke and Brigitta Scott to Partner. These leaders significantly contributed to Cordia’s 30% growth in 2018 by developing business and delivering the highest level of client service. 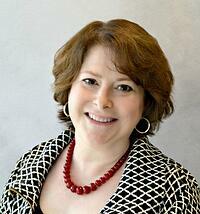 Brigitta Scott leads the Government Contracting outsourced accounting practice. She is responsible for personnel management, client relationships, practice performance, and providing strategic advice to clients. “Cordia is thrilled to have Brigitta join our partnership and contribute to our ongoing growth. Brigitta brings nearly 30 years of experience in all facets of accounting operations, audit, government contracting advisory, and leadership to our firm. Her dedication to mentoring staff and providing opportunities for growth strengthen our core values and our commitment to providing the highest level of expertise in the accounting and finance industry,” says Traci Rowland Shepps, Partner. Janette Burke leads the Not-for-Profit outsourced accounting practice. She is responsible for personnel management, business development, technical review, mentorship and training of staff. “It is with immense pleasure that we promote Janette to Partner. 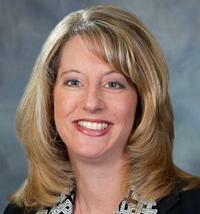 She is one of the most prominent and respected professionals in the not-for-profit community in this region. Janette brings 30 years of professional experience in audit, compliance, tax, and consulting for the not-for-profit industry. Janette is well positioned to lead new initiatives and future strategic plans as Cordia continues to expand its services while delivering the highest level of service,” said Mitch Weintraub, Managing Partner. Cordia Partners is a leading provider of outsourced accounting, technology consulting, and business advisory services in the Washington, DC Metropolitan region. Our proactive, client-centered approach allows you to focus on your core competencies and overall success of your business. With offices in Northern Virginia, Maryland, and DC, we are here to support the growth of your business. For more information and to learn more about our leadership team, visit us at www.cordiapartners.com.